It’s no secret that I love wearable LEGO and I’m always on the lookout for great costume or prop builds. Last October Brickatecture built an excellent rendition of Ant-Man’s helmet from the MCU and this year he’s done it again. 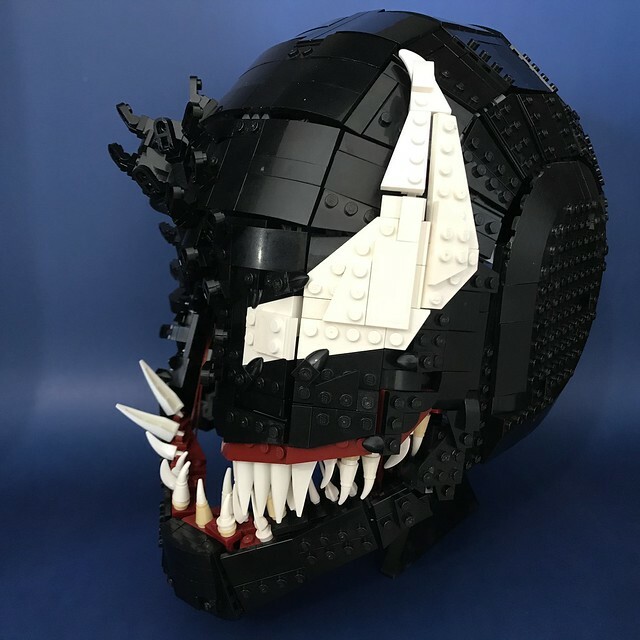 This time he’s created Marvel’s Lethal Protector, Venom. 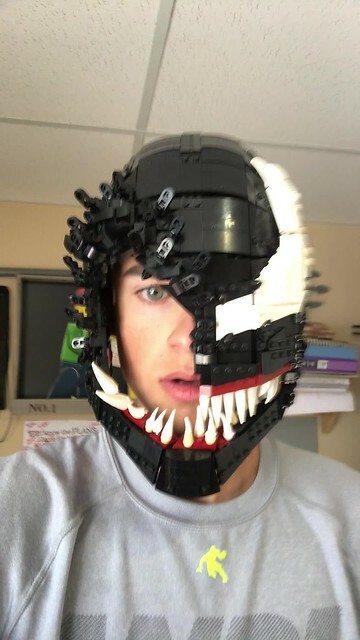 Not only is it a wearable helmet, but it replicates the peel back reveal that symbiotes are known for and with an organic looking technique to boot. He’s also designed it with a moving jaw that wags when the wearer talks. Another great build from Brickatecture moc industries.